Apologies to everyone looking for a post last Monday, I escaped off to Porto in Portugal for a couple of days well needed break and will be sharing more about my discoveries there in the weeks to come. 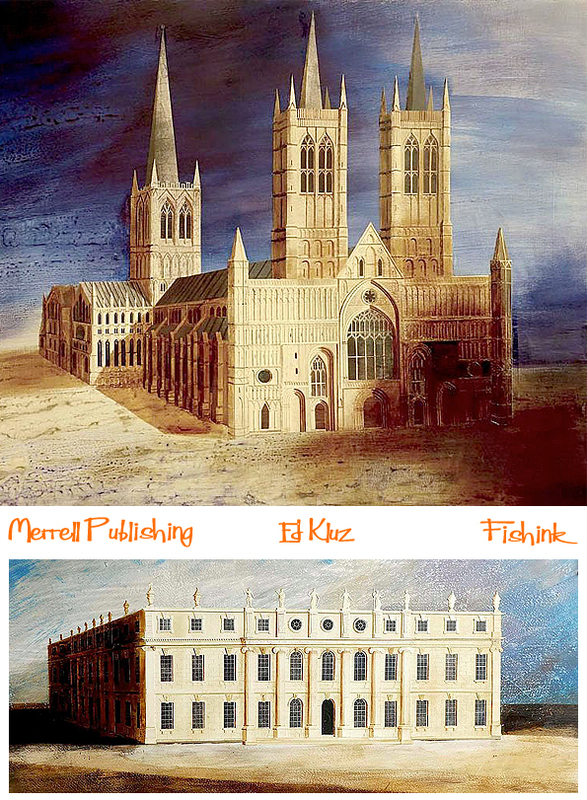 In the meantime… I can hardly believe that it has been five years since I last had the opportunity to feature the wonderful work of Ed Kluz, (you can find that post here). 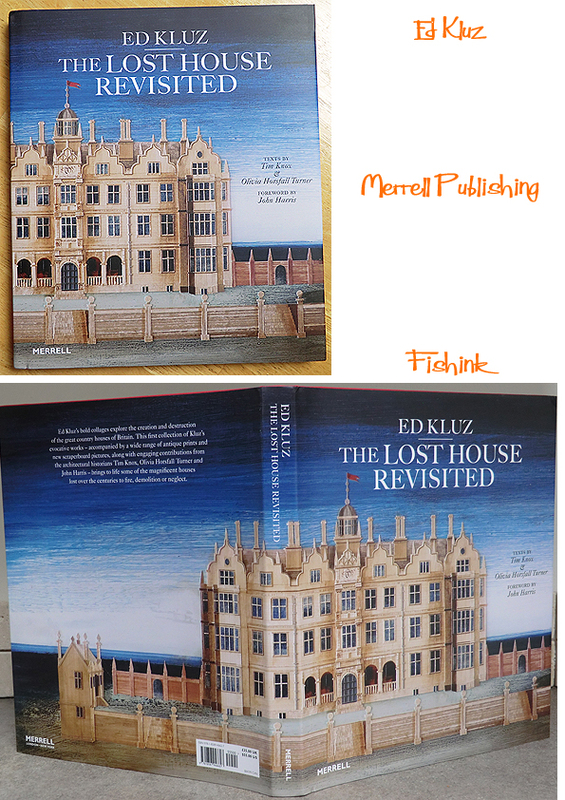 Merrell Publishers have just brought out a new book “The Lost House Revisited ” celebrating the paper collage work that Ed creates based on stately homes and in particular those once-celebrated grand houses that were abandoned to ruin, burned or deliberately destroyed. 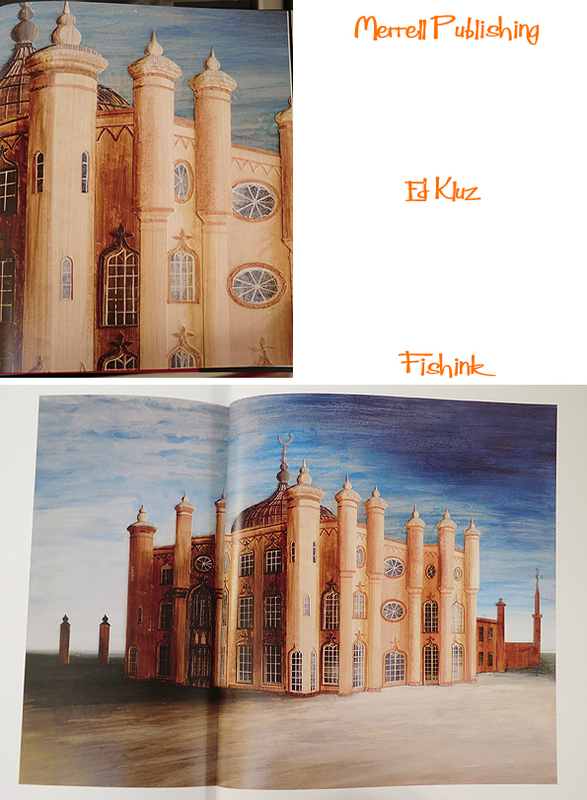 With around 200 illustrations over 192 pages, it’s an exciting volume of Ed’s work. 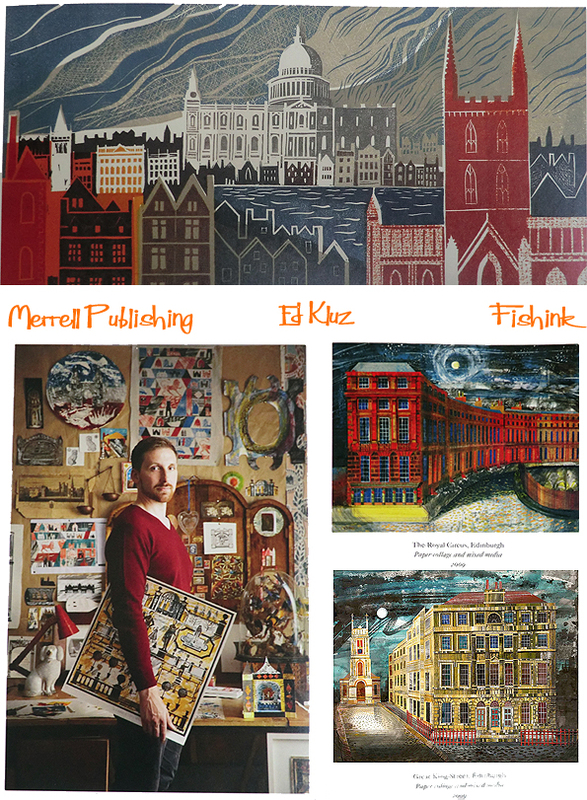 Featuring his collages, paintings and scraper board illustrations. Ed has a fine eye for detail, coupled with a nostalgic nod to the artists he admires like Edward Bawden and Eric Ravilious and creates beautiful striking illustrations awash with drama and a sense of the theatrical. He studies old engravings, plans and descriptions in order to build a full mental picture of a house; comparing the act of creating a collage to that of model-making, with each architectural element meticulously cut from paper and pasted, layer upon layer, on a background of inks. Ed’s lost houses conjure up the vanished buildings in all their pomp, existing not in the re-created landscape, but rather illuminated by theatrical lighting… and impressive they are too. There are close ups for some of Ed’s work, revealing the intricate layering and complex structure that each piece enjoys. The release of this volume coincides with solo exhibitions at the John Martin Gallery, London (4-28 October 2017) and at the Yorkshire Sculpture Park (from 11 November 2017 until the 25th Feb 2018). My thanks to Merrell for allowing me to photograph some of their impressive new volume, and to Ed for capturing the essence and history of these wonderful historic homes and bringing them back to glory, in a new illustrated format. 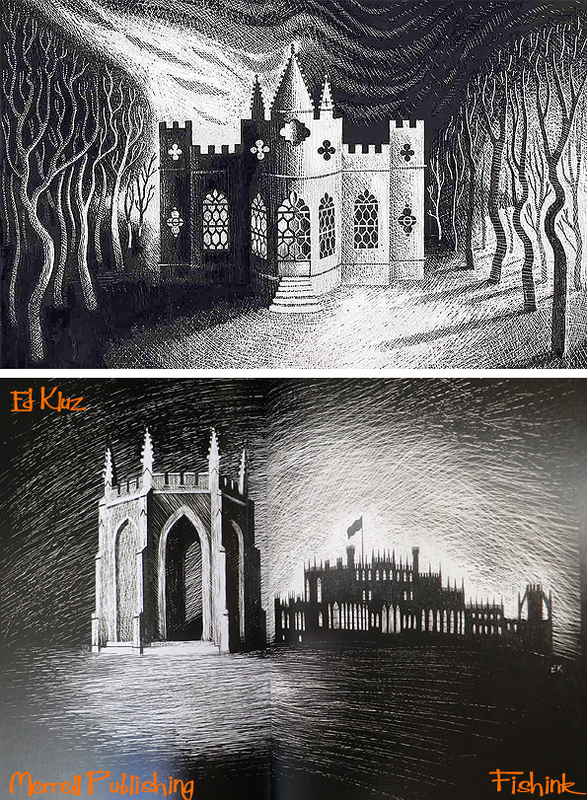 THANKS for this post about Ed Kluz. 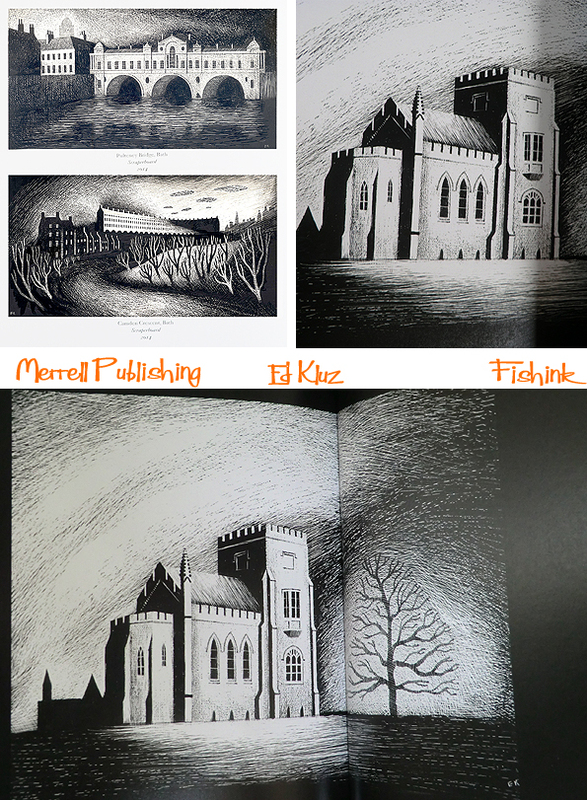 Am quite taken by his artwork and process, and am now going to purchase his new book. Thanks Helen, do enjoy it. I love his use of color and drama. And that photo of him brings to mind old portraits that hang in those stately homes and castles–not posed on favorite steeds nor with hunting dogs, but with his artwork! Well pointed out Joy. ‘With artwork’ feels much a more natural place to be too.